It was another rock solid performance from Robin Dawson (Maynooth) at the European Nations Cup as he finished second behind Jack Davidson (Wales). Dawson finished on a total of 287 (-1) which was four shots behind overall winner Davidson. He had been tied at the top of the leaderboard after the opening two rounds a 71 followed by a 69 but rounds of 73 and 74 to Davidsons 70 and 73 on the final two cards were the difference in the end. This was Dawsons third runner-up place of 2017 after he finished second in both the Cape Province Open and South African Strokeplay. 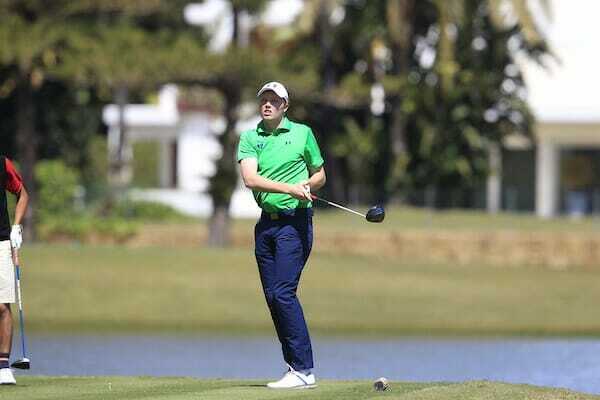 The other Irish players had tough tournaments with Alex Gleeson (Castle) and Stuart Grehan (Tullamore) both finishing T16 following closing rounds of 80 and 82 respectively, while Kevin Le Blanc (The Island) finished T45. In the team scores, Ireland also had to settle for second place.